A blend of your values, beliefs, motivation, and what makes you unique. It's everything your customers think & feel when they hear your name. Your brand should immediately differentiate you from your competitors. It's vital that leads recognise your brand early on in their buyer's journey so you have more chances to connect with them on their path towards sale. Step away from confused, ad hoc projects. Create more strategic and effective video content. 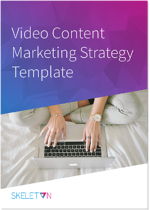 Download our simple template for the planning framework you need to integrate video into your content marketing strategy. One of the best ways to achieve this is with the ever-popular brand film. Just because it sits at the awareness stage of the marketing funnel, your film shouldn't be all things to everyone. What it should do is communicate your brand to your target audience without overwhelming them with detail or sales messages. The key is to make an emotional connection so that potential customers remember you. Here are 9 of the best brand films we've seen to get your creative juices flowing when it comes to sharing your own core values through video. What Makes a Great Brand Film? But first, let's go over what an outstanding brand film needs to do (and what the 9 videos below all manage to achieve). 1. It communicates brand values. The core purpose of a brand film? To share your brand values with the world, in a way that makes your audience feel connected to what you do and why you do it. 2. It draw viewers in immediately and keeps them watching. There's a lot of competition out there for your viewers' attention. A great brand film should be technically and emotionally impressive enough to hold it. 3. It tells a story the target audience relates to. A compelling story about the values and topics your audience care about is the easiest way to keep them engaged — which is why the best brand films are often story-focused. 3. It creates emotion and connection. After watching a great brand film you should feel something. The basis of any relationship is emotion, so it's vital that these videos start building feelings of trust and connetion. 5. It leaves viewers wanting to know more. Excellent brand films are a bit of a tease. They offer just enough information about your brand to pique your audience's interest without being overwhelming. Let's start with a wacky, fast-paced, feel-good film from Schneider Electric, who believe that even the smallest of things can have a big impact. Schneider Electric offer energy management solutions, but that's not the core message of this video. No, this video uses a ridiculous-yet-almost-believable scenario to make their target audience of electrical engineers smile. It's proof that the company gets their customers and understands why their line of work is so focused on the little details. By connecting emotionally with their audience, Schneider Electric set a solid foundation for engaging them again in the future. They share their values of care and commitment — and encourage leads to think of them when they're considering new electrical suppliers. 2. Microsoft: What Are You Going to Make? This brand film reflects a shift many big business are making to embrace women in the workplace, particularly in STEM roles. Here Microsoft embody one of their core brand values: inclusion. Empowerment and motivation are popular approaches in many brand films. A challenge against the status quo reminds those who work with Microsoft that the company believes in constant innovation to make the world a better place. Through interview footage with young, female students — combined with a showcase of the largely unsung women inventors who have brought us everyday lifesavers such as windscreen wipers, laser cataract surgery and signal flares — this video inspires both students and viewers about what we can achieve when we dedicate ourselves to diversity. Social experiments. Are they a clever approach or a bit of a gimmick? 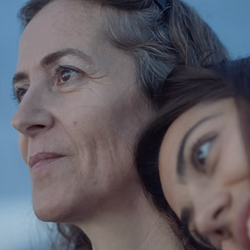 After watching this eye-opening video from Heineken, you'll never say the latter. Take two strangers with diametrically opposed viewpoints. Put them in a situation where they have to work together, getting to know each other along the way. Then show them pre-recorded videos of each other sharing their opinions on a range of topics from the environment to politics to gender equality. After all that, will they want to walk away or stay and chat over a beer? You'll have to watch to find out. While deceptively simple, this brand film has its execution down to a T. It's intriguing and amusing with a powerful emotional payoff. Above all, it spreads the values of mutual respect and enjoyment of life on which Heineken have built their brand. Proving that fictional stories can be just as effective as real ones, this gorgeous animation from Lyft encapsulates everything the brand stands for. Unlike their closest competitor Uber, Lyft's philosophy is rooted in community and goodwill. This film isn't just an effective piece of awareness for the brand, but also a manifesto about what they stand for and why. With this fictionalised story of an average Lyft driver, the business can communicate what makes it different from other "taxi" services while retaining an authentic, human voice. It's a beautiful piece of branding that transcends the cheesiness so often present in value-heavy content to express an ethos that employees and customers alike can believe in. Humour is a potent emotion to draw on in any brand film, as Adobe prove here. The core message reinforces the brand's overarching belief in an outstanding digital (and real-world) experience. Short enough to be a TV ad, this video still manages to paint a memorable picture of the brand's worldview and the values it dedicates itself to. Adobe have created similar films about what can happen if your customer experience isn't seamless, but in this example they focus on an aspiration — if absurd — situation for their target audience. All businesses want their customers to feel happy, satisfied, pleasantly surprised after engaging with them. Adobe want to see a world where that's the case, and they provide the tools to make it happen. Think your brand film can't include the authentic voice of your customers? Think again. In this blend of three separate case studies, Shopify go way beyond the superficial to the deep motivation behind why they, and their clients, do what they do. Shot like a feature-length documentary, this video taps into the mindset of its audience of small business startups, showcasing the drive, resilience and passion that got them where they are today. It's all the more hard-hitting for being a series of real stories told by real people. Shopify don't even spell out what they do — it's not necessary for the message of the film and would probably dilute it instead. They want potential customers to know that somebody is there to support them in following their dreams even when times get hard, and to feel compelled to find out more. iProspect are a global digital marketing agency who want to ask you the question: how relevant are your online ads actually? A clever concept in this film sees the internet personified as a well-meaning, but sometimes misguided, friend. It helps to drive home the point that some of the strange and unhelpful things we're targeted with online just wouldn't be acceptable off the screen. iProspect believe in a pioneering, ambitious and responsible approach to digital marketing. Here they're attracting leads who share their beliefs — that online communications can and should be better. They're not willing to settle for poorly targeted, ineffective and annoying ads, and they're asking potential customers to join them. Periods are a sticky subject. Over the years they've been handled in a typically tame way across adverts and promotional videos. How do you turn a taboo into a positive message to unite your customers and all like-minded adults? Bodyform strike gold in this brand film. In the vein of recent ads from Dove and Always, they turn what might be seen by some consumers as "just another toiletry" into a rousing symbol of what it means to be a woman. The shock viewers might feel at actually seeing what looks like blood in a video from a feminine hygiene brand (gone is that ubiquitous blue water) quickly gives way to pride and motivation. By reinforcing their brand beliefs, Bodyform get in on the trend begun by their competitors and help to distinguish themselves from the rest of the market. Video is ideal for showing how your brand differs from the competition in a fun, exciting, visual way. Elan Languages took an innovative idea and turned it into branding magic. We all know that Google Translate can be inaccurate more often than not. But how does it fare against other translation services? It's dull to show different translations side by side. Instead, Elan Languages decided to run the same recipe through their and Google's translators — and then actually make that recipe. Cute graphics explain the action as viewers get to really see a powerfully physical manifestation of the difference between the two services. Elan succeed at showcasing their mission of clear, quality communication in a snappy 120-second film. Those were 9 of the best brand films around that succeed at honestly sharing their values to connect with their audience. You might not have Heineken's budget or the global reach of Shopify, but hopefully these examples have inspired you to speak about why you do what you do in an emotionally authentic way. And it's not just brand films that can help you resonate with your audience. A strong video strategy will include content at all stages of the marketing funnel to engage with your potential customers on the topics they care about most on their way to sale.